It is undeniable that moles provide some benefits for the environment. For example, a mole’s tunnelling can aerate and loosen the soil, which creates a more favorable environment for your plants’ growth. Also, moles are insectivores and eat grubs, earthworms and other insects which can ruin your garden. 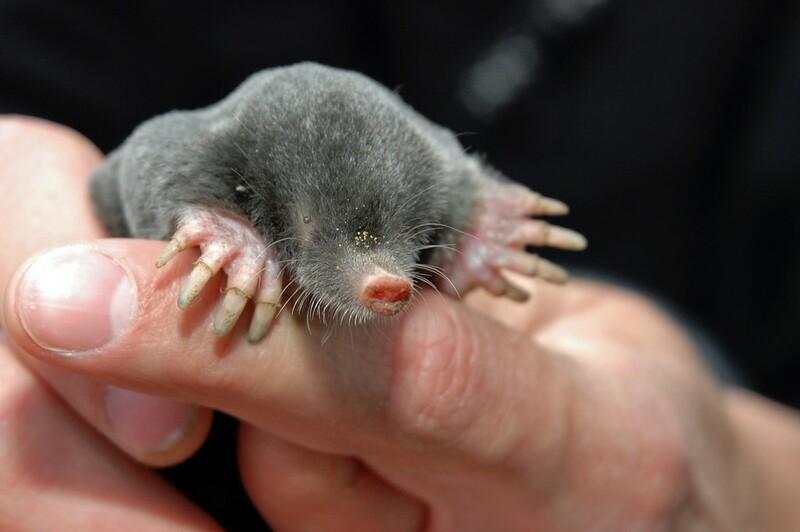 However, in general, moles are not considered by gardeners as welcome visitors because of the serious damage they do to their lawns and bulbs. We are sure that no gardener wants to see long mole tunnels beneath the soil surface in their carefully manicured lawn. The most effective way to control them is to trap them. You can buy a mole trap on the market, or learn how to set an easy mole trap on your own. Our useful tips will help you do that. If you have a large garden, you may see a lot of mole tunnels. However, not all of them will be active. How do you know which ones are active or inactive? Push down some of the soil on each tunnel. After one or two days, if the tunnel has been raised again, this tunnel is active. To put it in other words, it is the right place for you to set the easy mole trap. 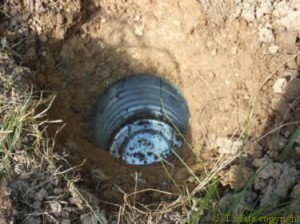 First of all, you’ll need to gather some easily-available materials including a shovel or spade to dig into the mole tunnel, and a wide-mouth quart jar which is high enough in order not to let them climb out. If your jar is not high enough, you can fill it with water, but you’ll then have to contend with a drowned mole. Finally, you need a large board with which to cover your jar. Get some bait to put into your jar. Your easy mole trap will never work if it does not contain bait. As mentioned before, moles feed on earthworms, centipedes, grubs, crickets and other pests. However, it’s better not to catch these insects and use them as bait because when they are dead, you don’t want to have to deal with their unpleasant smell as well as the clean-up. Instead of that, you can make the best of leftover candies. Use a string and hang them over the top of the jar for the best effect. Moles love the smell, and won’t be able to resist them. 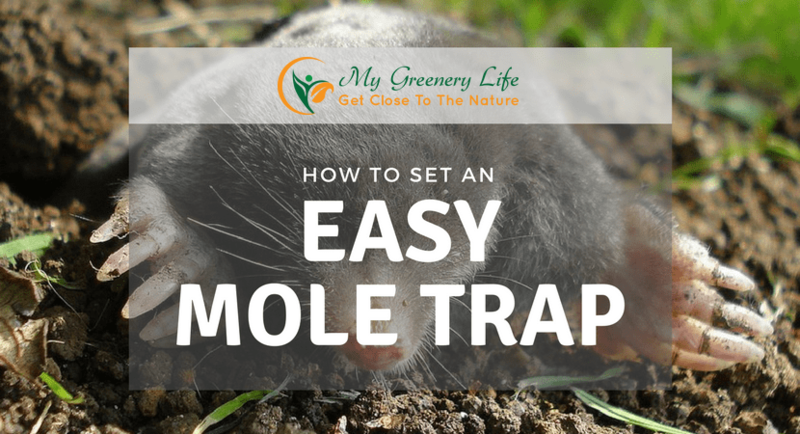 After finishing the preparation, you can then get onto the procedure of building the easy mole trap. Use your shovel or spade to make a clean cut into the mole tunnel, then broaden your cut into a hole, which is the size of your jar. 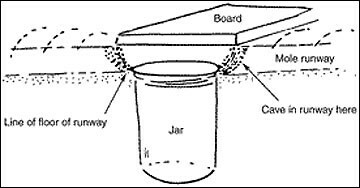 Place the jar containing the bait in the hole and then cover it at ground level with your prepared board. Make sure that no sunlight can get in. Ideally, moles will follow their usual tunnel, be attracted by the sweet scent, dig through the caved-in section and then fall into the jar. Regularly check your easy mole trap at least every two days. If you have to deal with drowned moles, you should check it more often. It only takes a minute to lift the board and check, and doing so can prevent you from having to cope with the nasty smell of dead bodies. As soon as you see a mole in the trap, cover the jar and move it. 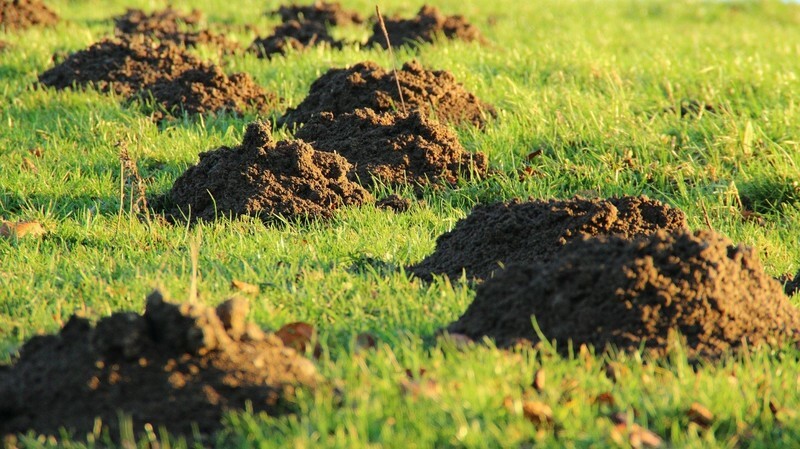 Put the mole somewhere well away from your garden, like an open plot or park area. So, how about giving our easy mole trap idea a try? It’s really simple and cost effective as it uses items you probably already have in your kitchen. It’s certainly cheaper than some of the mole traps on the market, and just as effective.